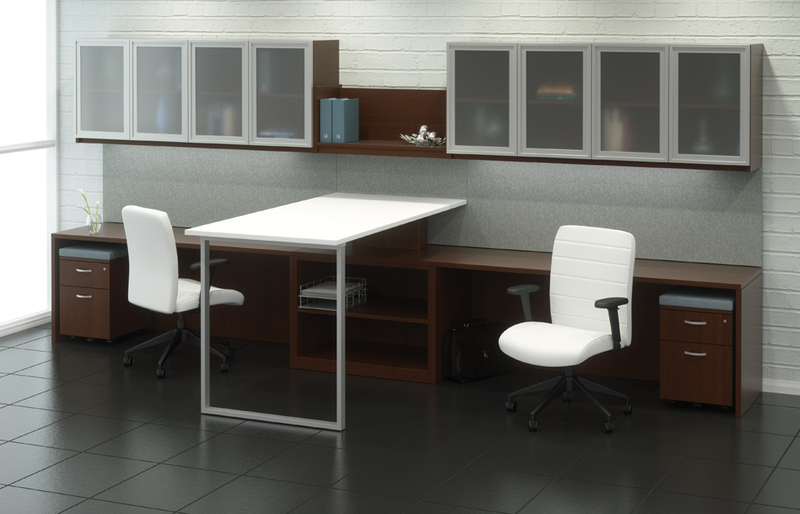 Whether a workplace calls for individual use, teaming or hotelling, Adaptabilities offers an extensive range of matching modular components, in a choice of hundreds of finish combinations – from rich mahogany to contemporary solids. 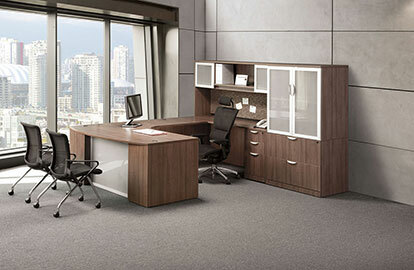 Canvas is an effortless choice for realistic and stylish laminate product that gives you the warm aesthetic of wood. 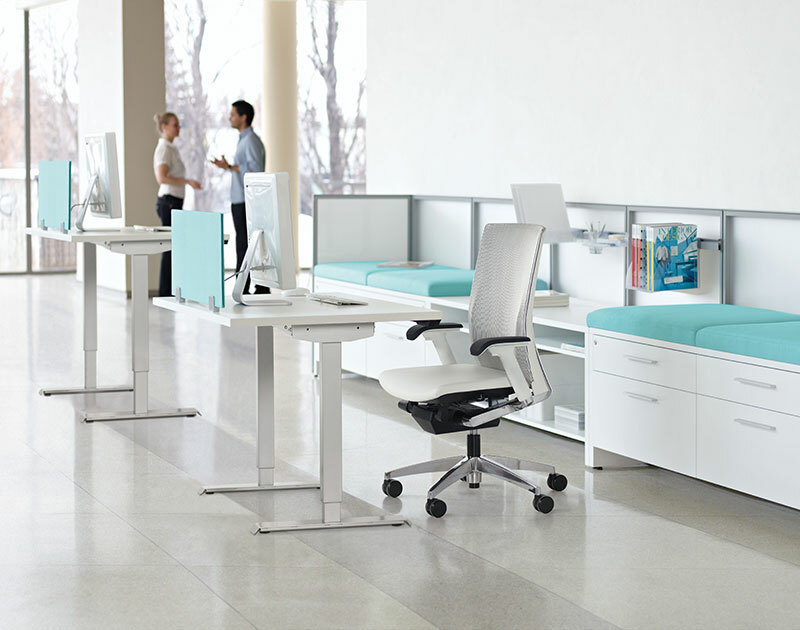 From casual to upscale styles you never imagined you could afford, Canvas brings you countless color, pull, and profile options that inspire a multitude of different configurations. 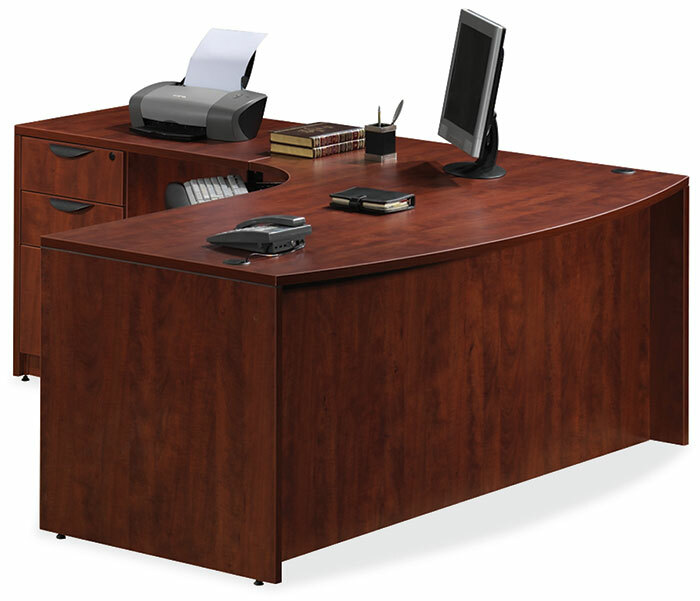 All so incredibly realistic, no one would guess it’s laminate. 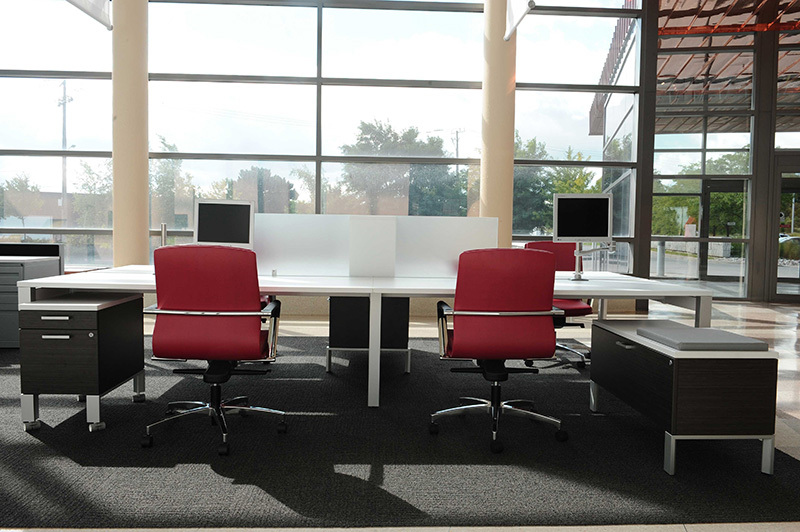 Not to mention, sustainable attributes such as being Indoor Air Quality and BIFMA level 2 certified. 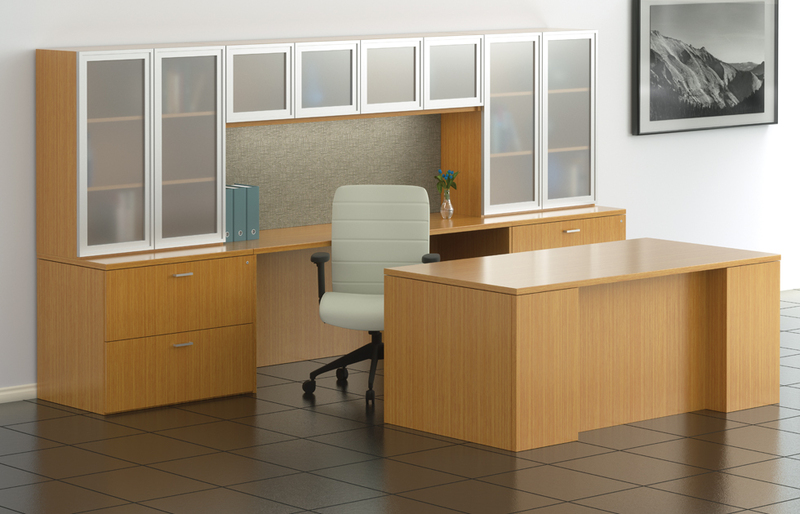 The Elements standard line is composed of over 2500 standard items in all casegood categories. 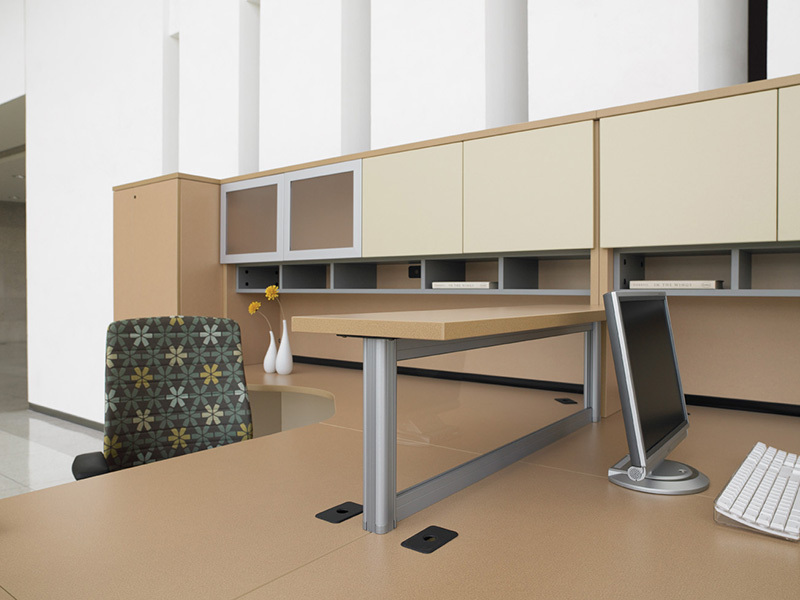 Metal supports, modesties and dividers. 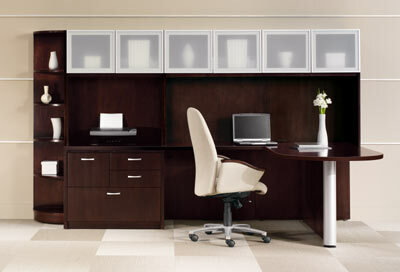 Various privacy options with glazed or acrylic panels. 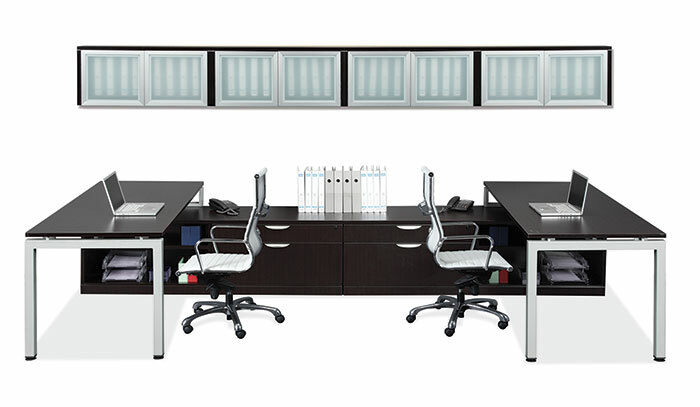 Glass doors, posts, panels and several accessories. 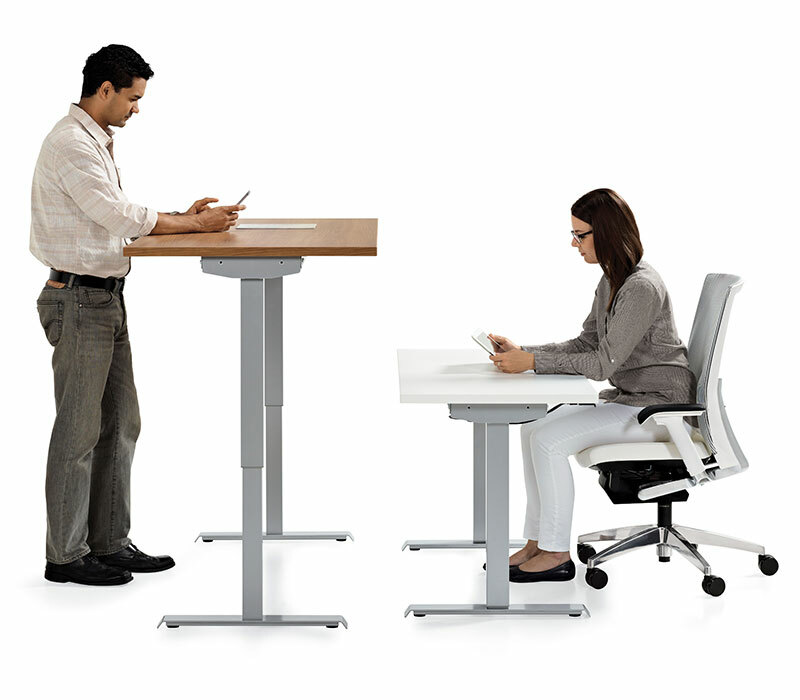 Tailored to the “inch”. 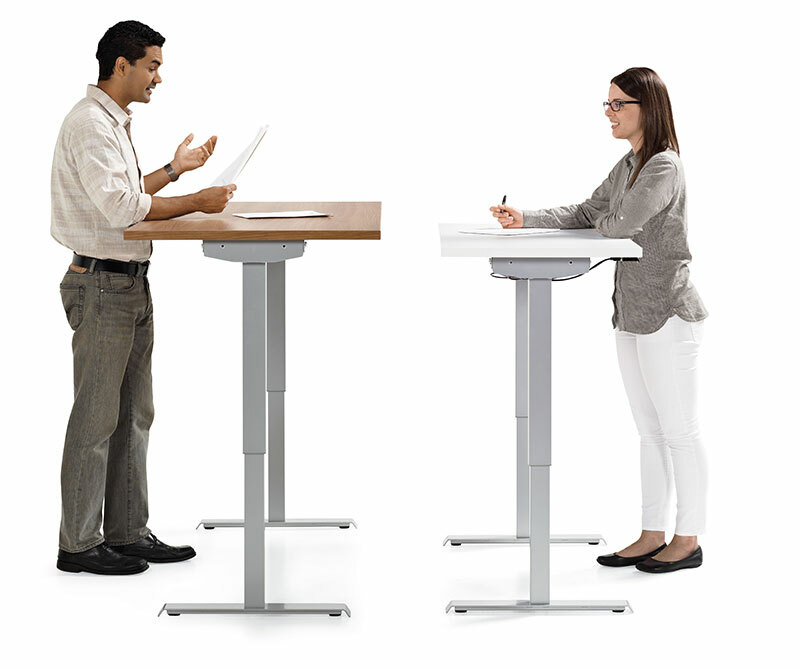 Any standard products height, width, depth can be modified to the quarter inch. 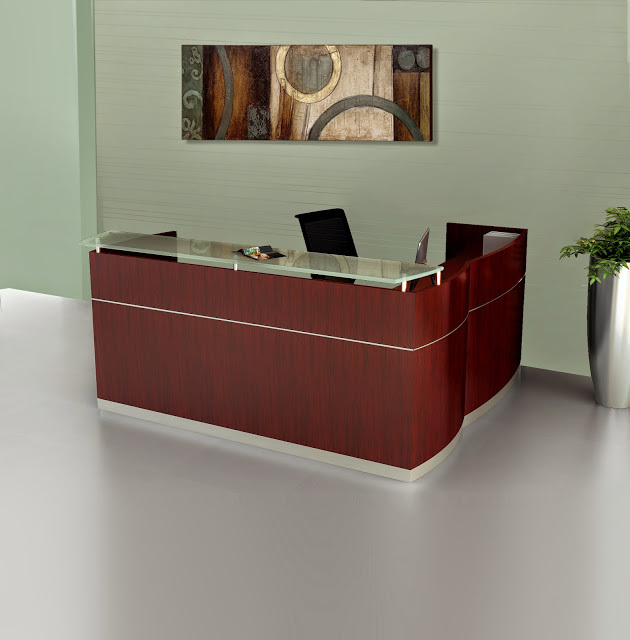 Our Made-To-Order capabilities are second to none in the industry. 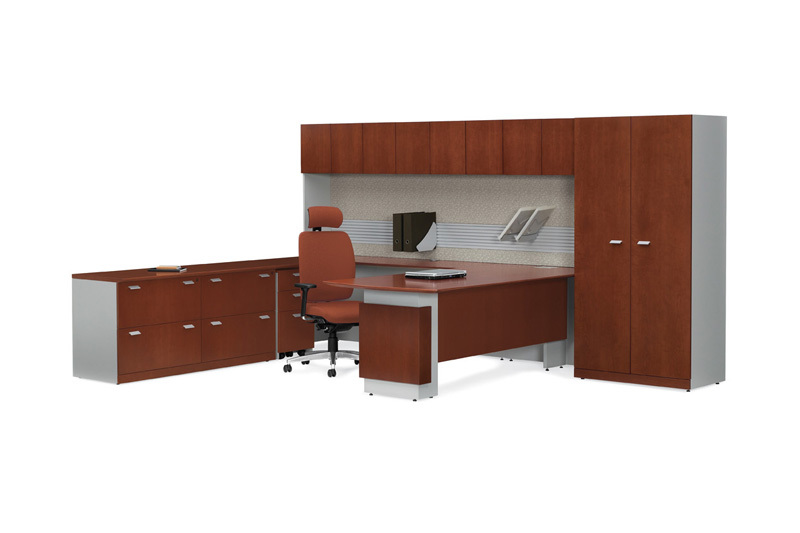 Having produced over 50,000 custom units we have seen it all. 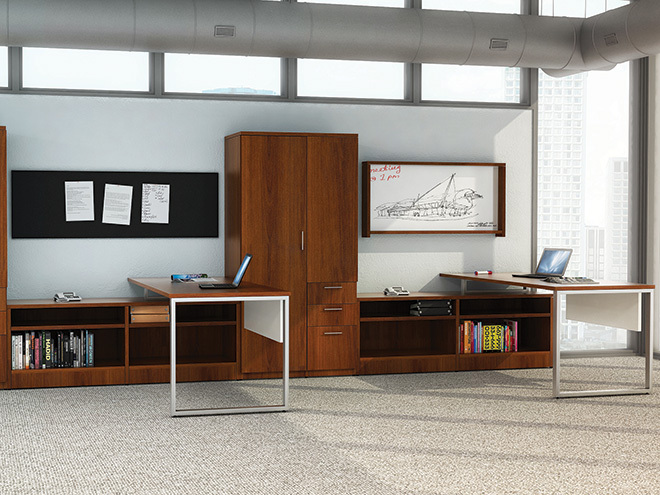 A foundational suite of casegoods primed to evolve with your needs. 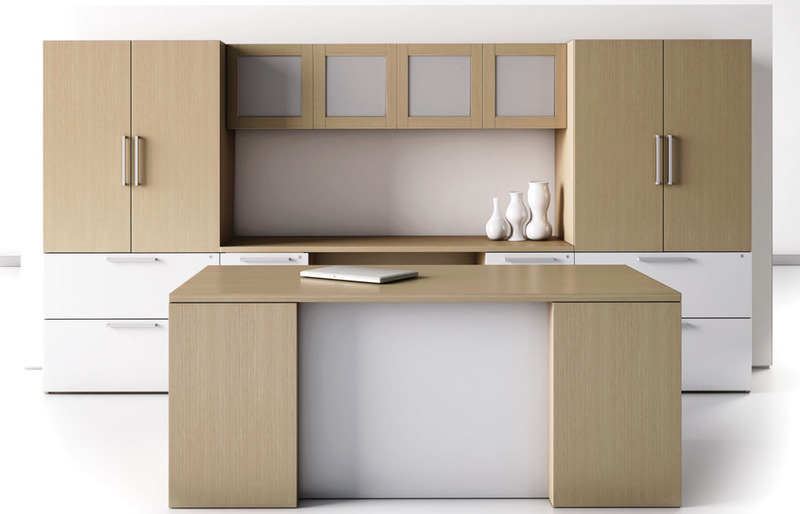 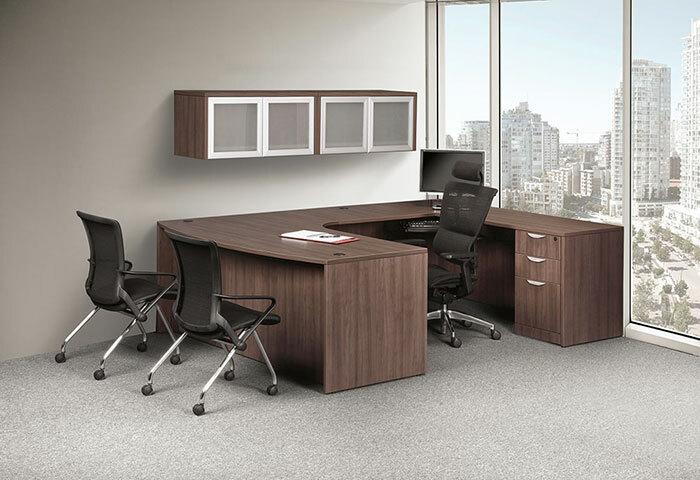 Gesso allows you to combine luxurious veneers, top grade laminates and other materials to create stylish, reconfigurable work surfaces and storage options. 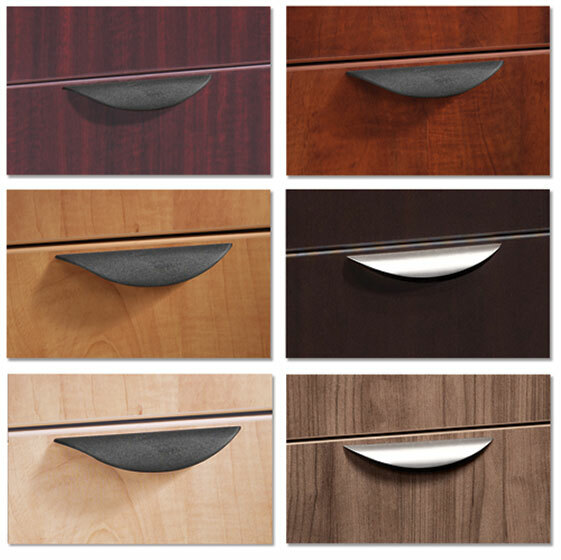 An inspiring selection of color, pull and edge profile options enhances the aesthetics. 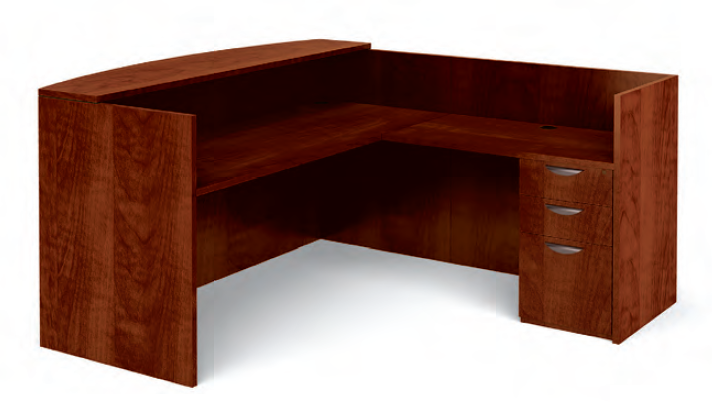 Four 1/4″ hardwood edges to choose from: Flat (L10), Radius (L20), Fluted (L30) and Soft Tail (L40). 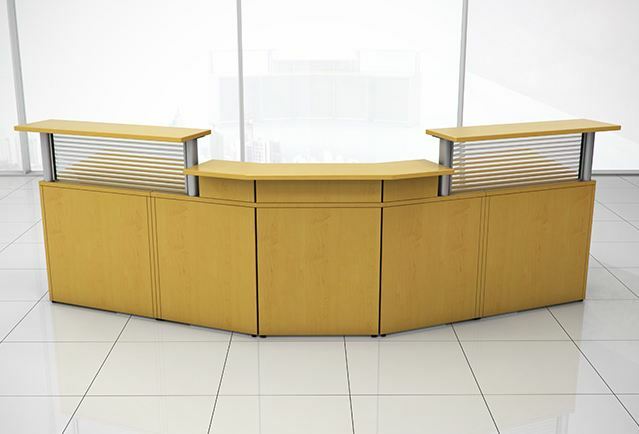 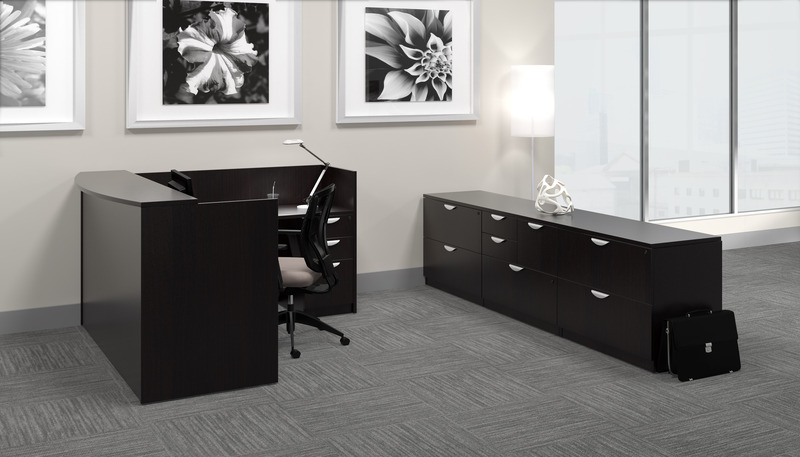 23″ height credenzas allow for different visual planes. 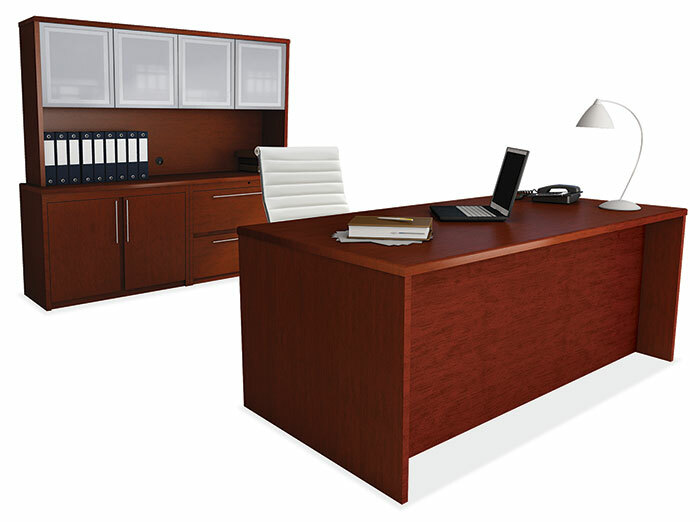 Coordinating boardroom and reception components. 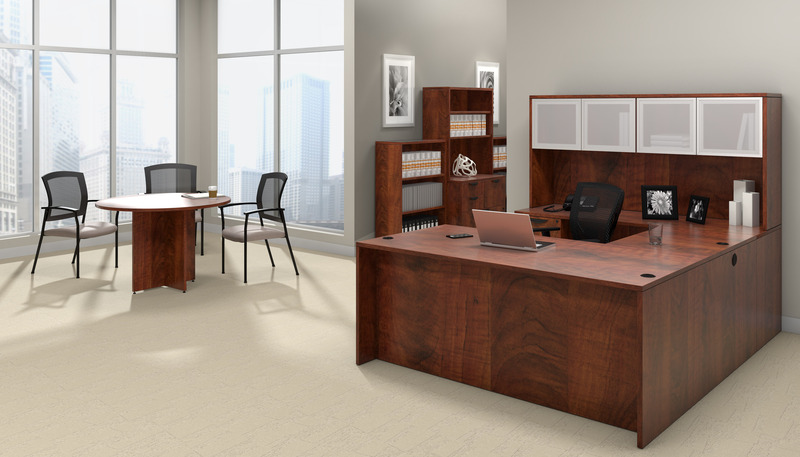 The Napoli Collection offers a contemporary veneer style that has proven to be not only popular here in the United States, but also over in Europe and Asia. 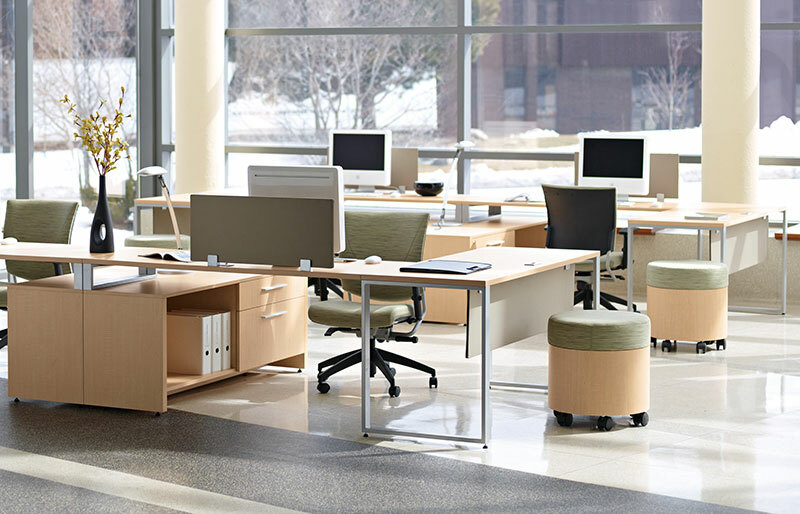 Princeton is about doing more with less space and less budget. 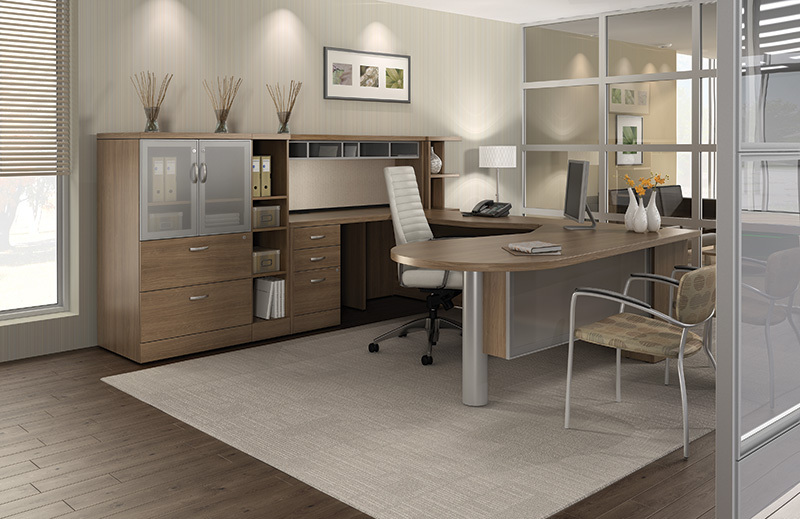 How about a really great place to work in less than 50 square feet? 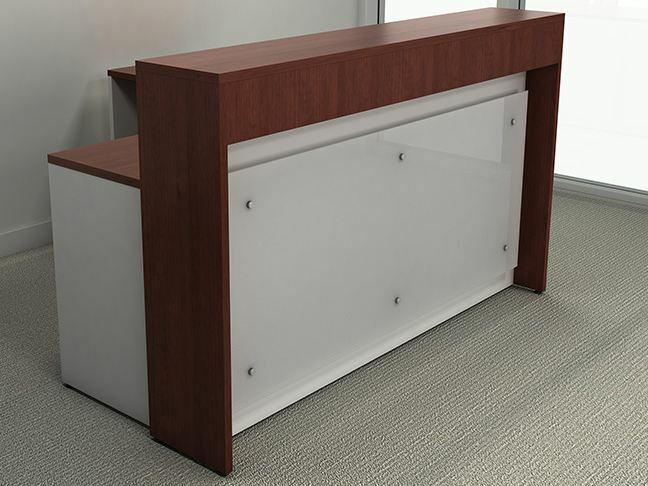 And new ways of doing things like a bench that doubles as file storage. 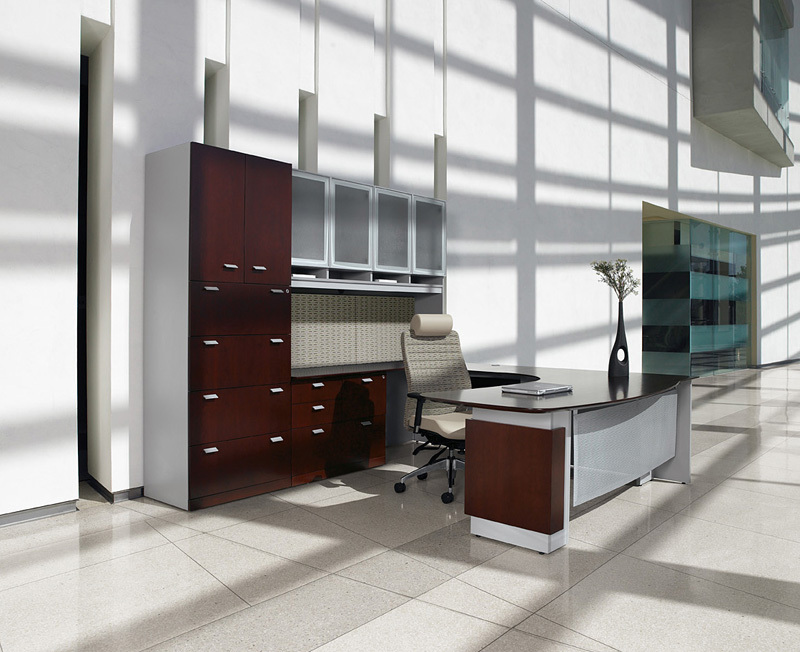 Rolling glass doors that reward the eye and the touch. 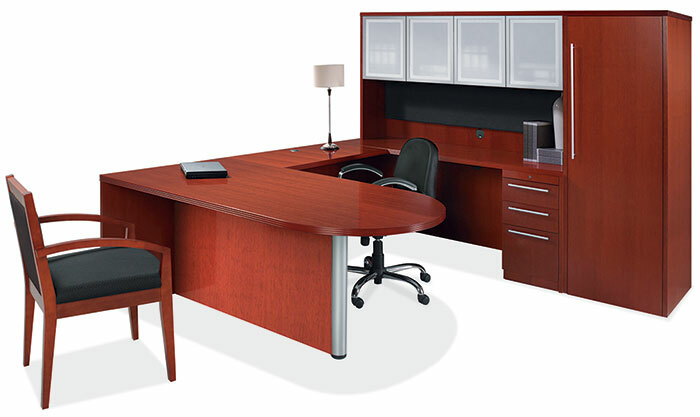 The Rudnick Collection offers many different components to create your work station. 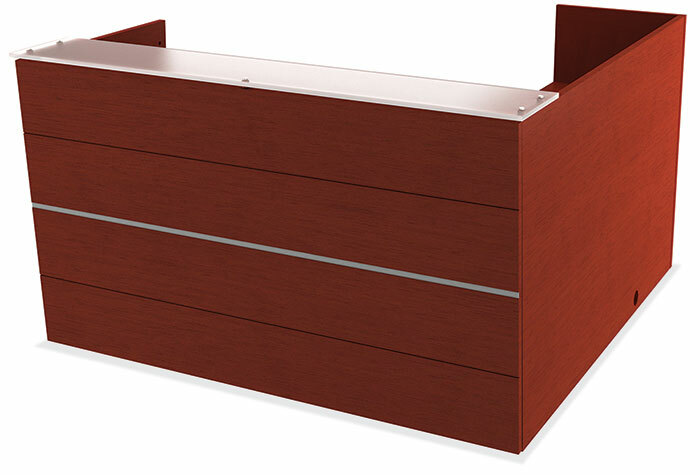 Rudnick features a reeded edge with Cherry or Mahogany finish. 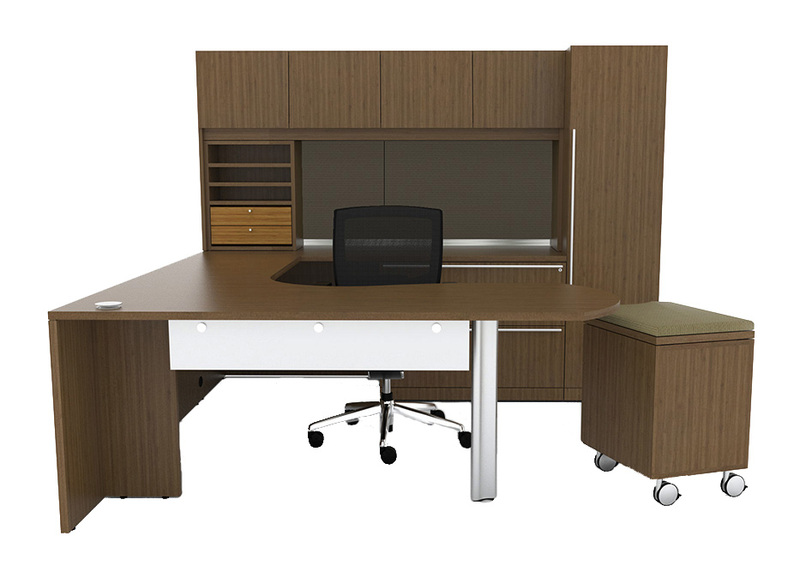 Also featured is the Copacabana Rudnick with a more modern flair. 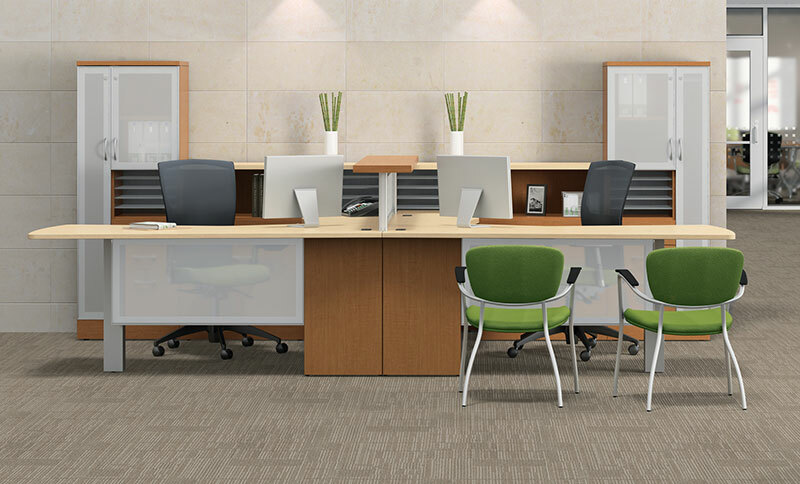 Valuebiz laminate is available in a wide range of components and sizes, it can easily be pieced together to create the configuration that best suits your needs. 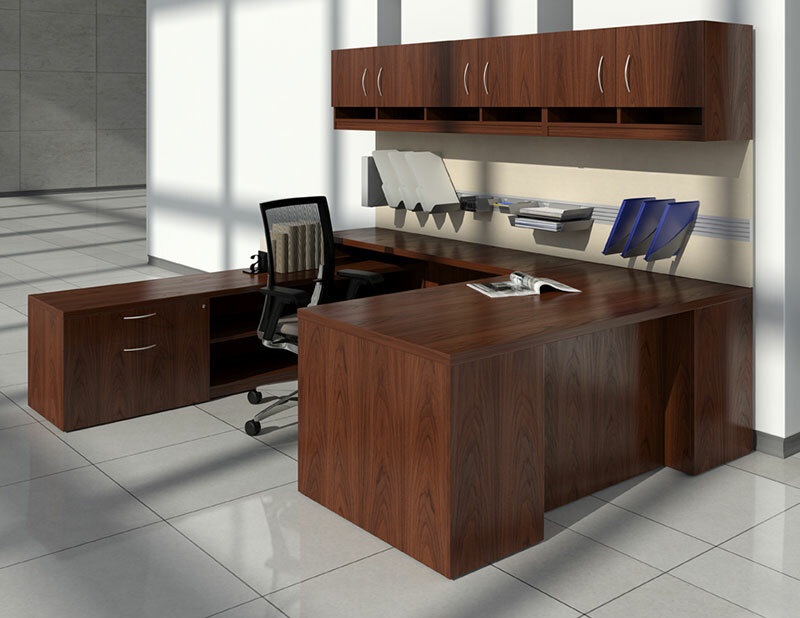 Available in 5 finishes: Cherry, Honey, Mahogany, Modern Walnut, and Espresso. 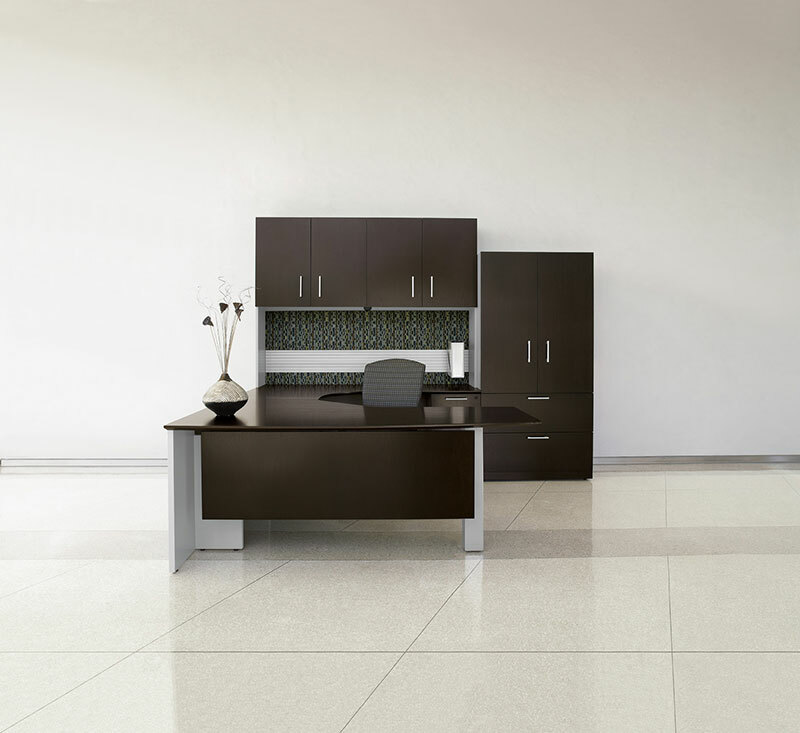 Work surfaces feature a nine step finishing process with a Polyester top finish coat. 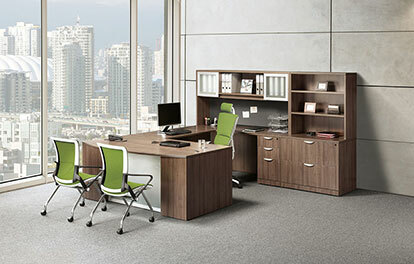 Verde offers contemporary European styling in a durable, cost-effective commercial grade laminate. 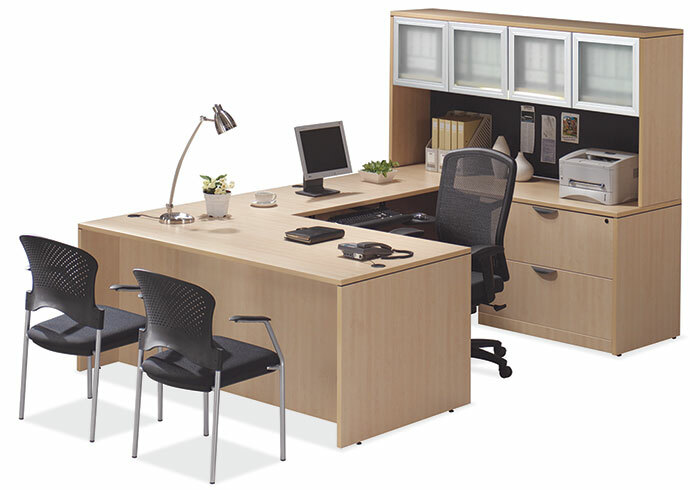 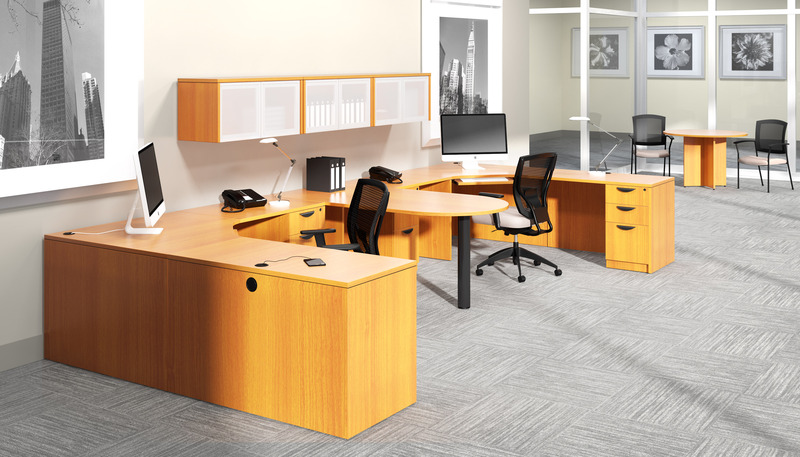 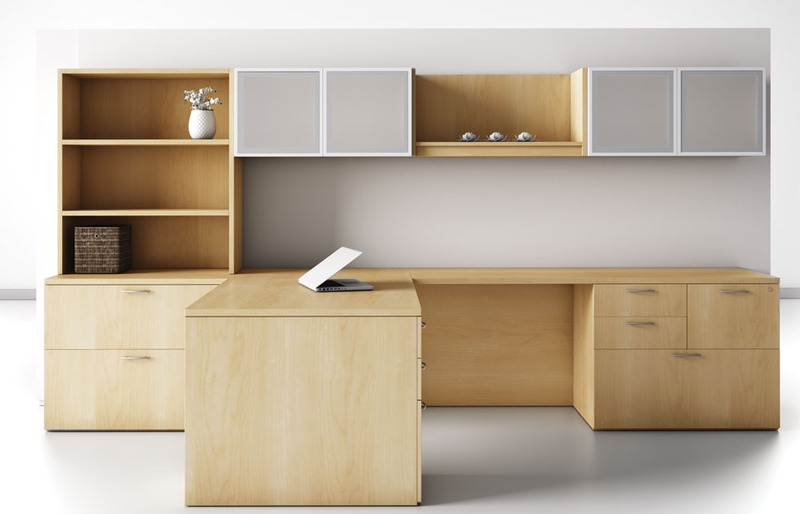 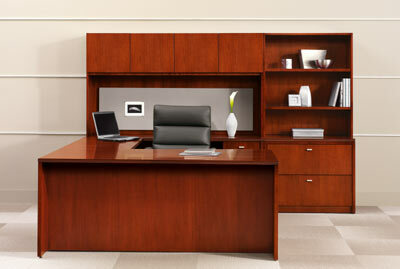 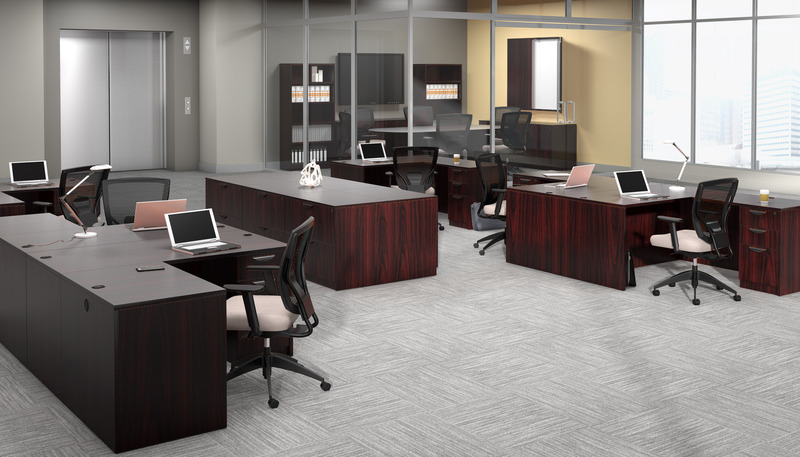 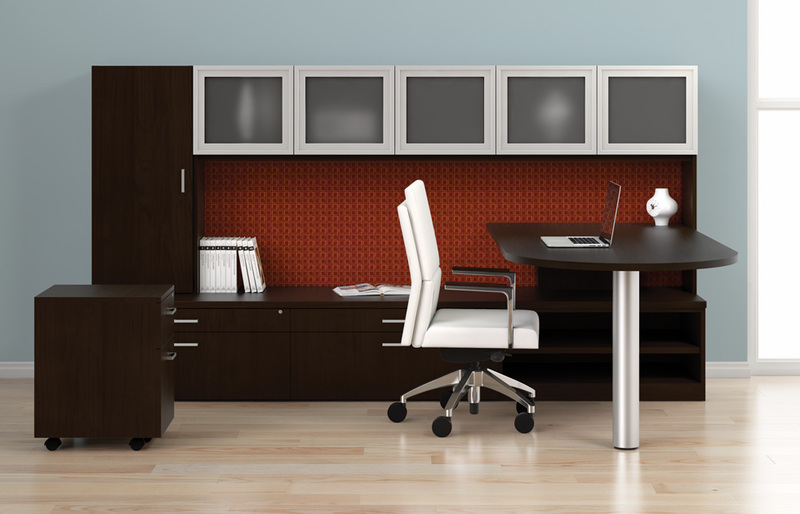 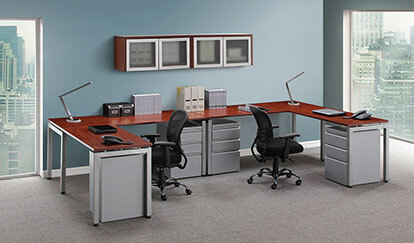 A variety of components allow you to create an office space as unique as you. 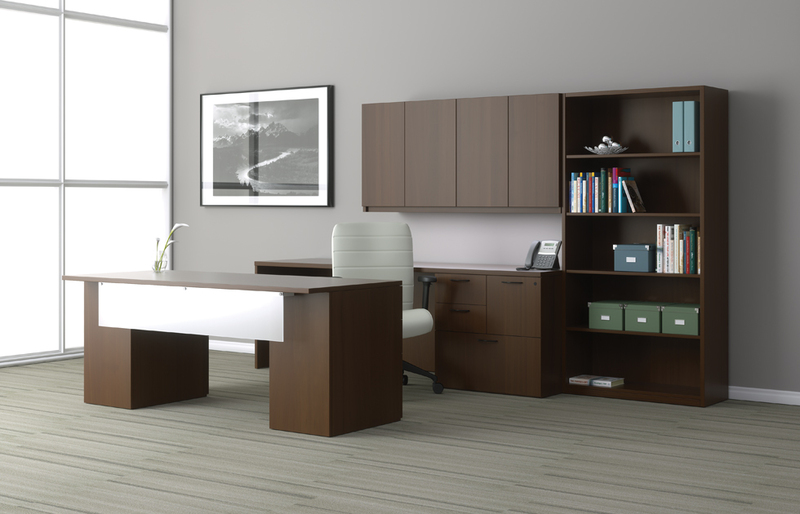 Available in two Woodtouch laminate finishes: Espresso Bamboo and Latte Bamboo. 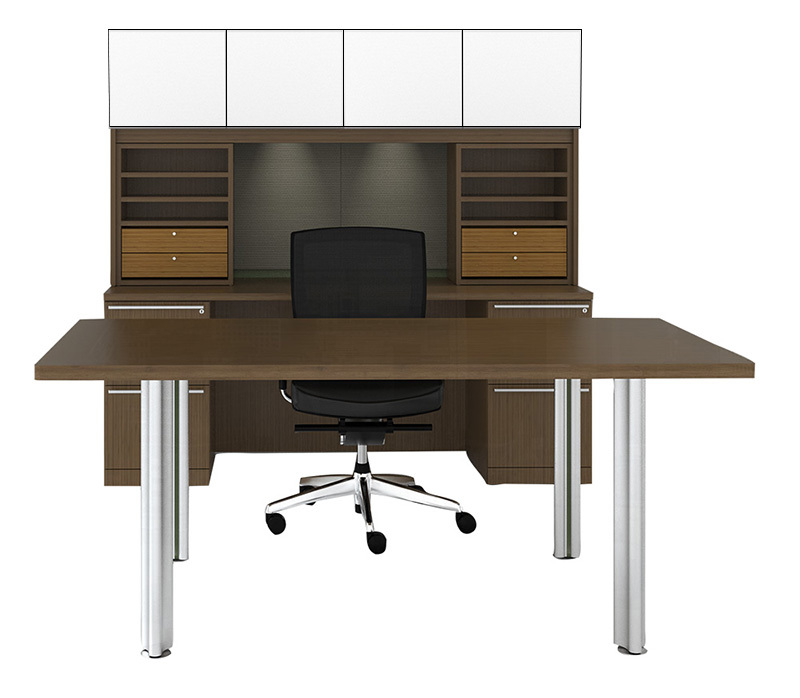 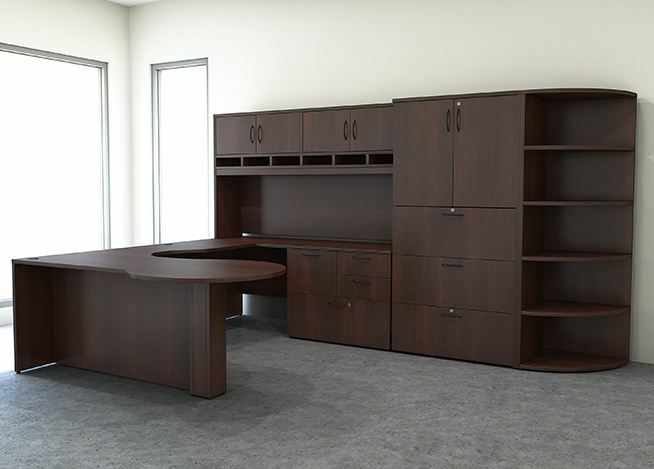 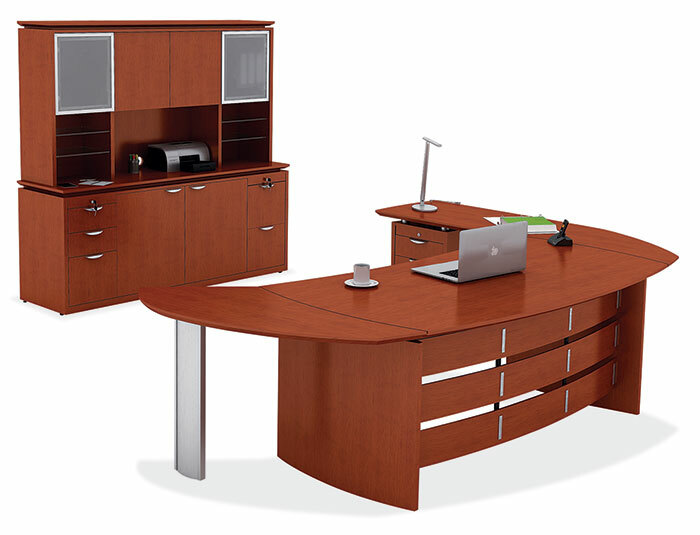 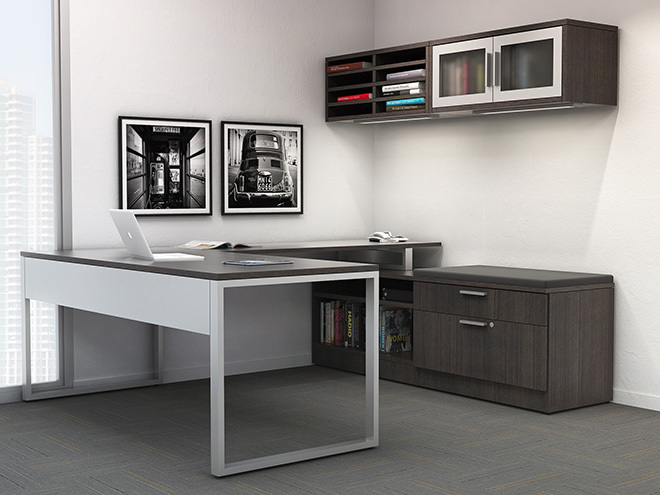 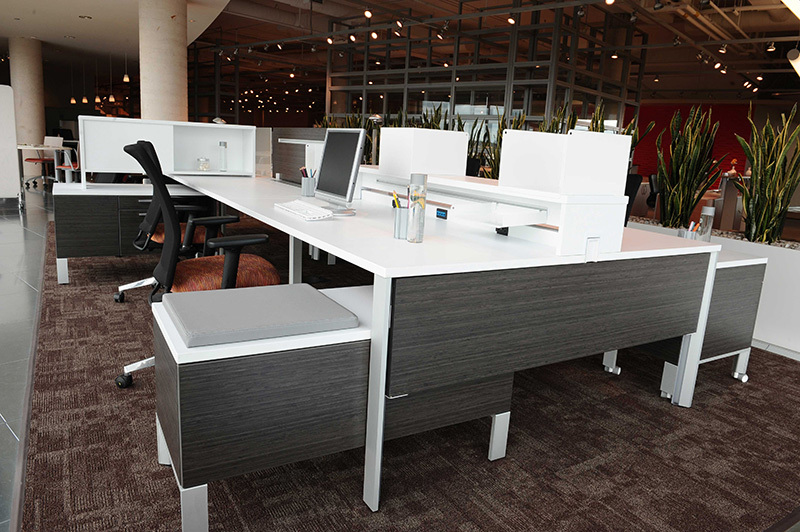 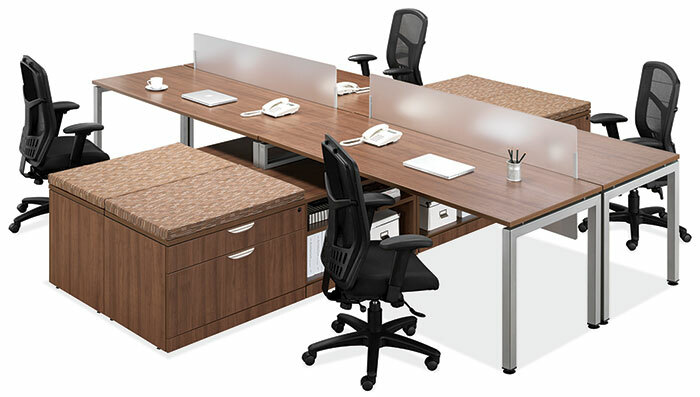 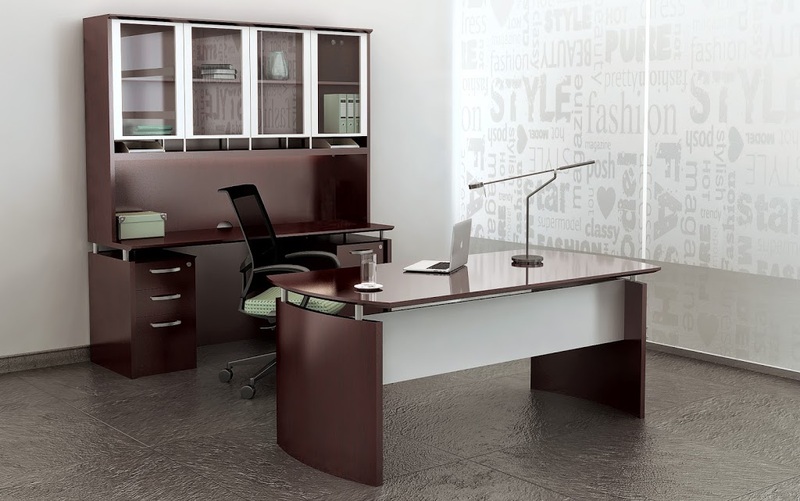 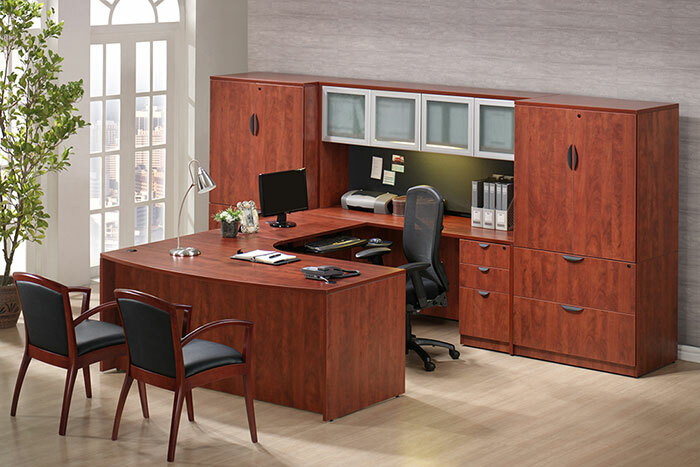 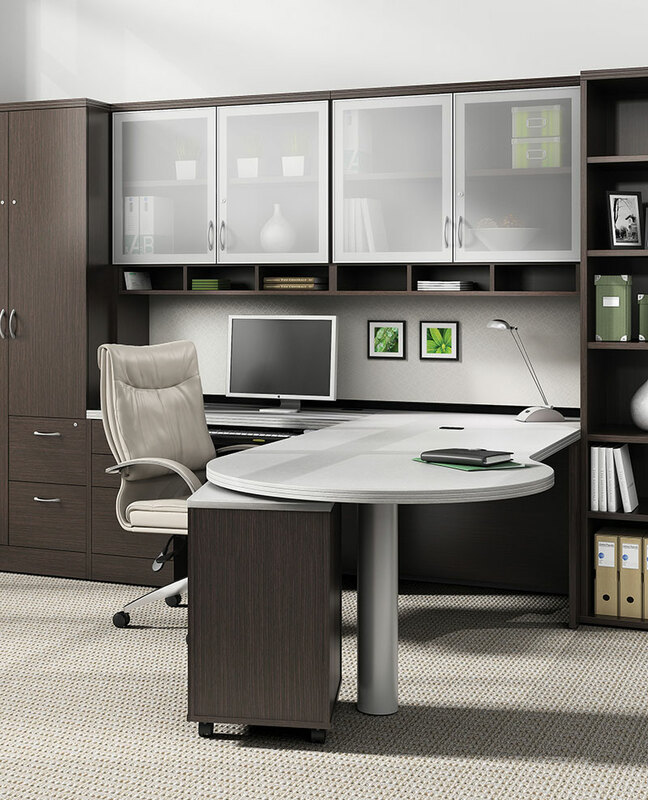 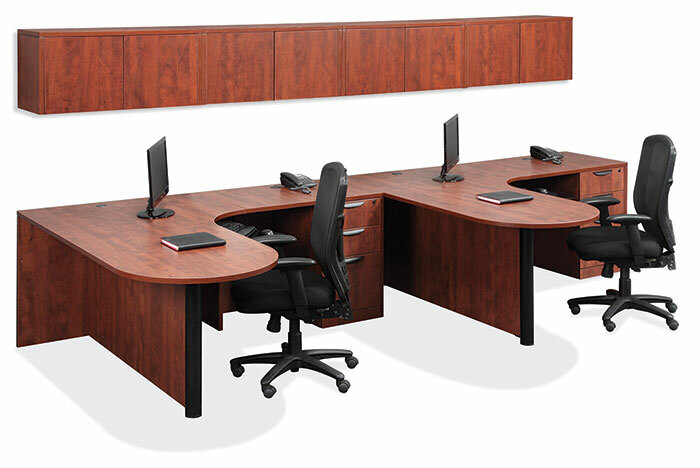 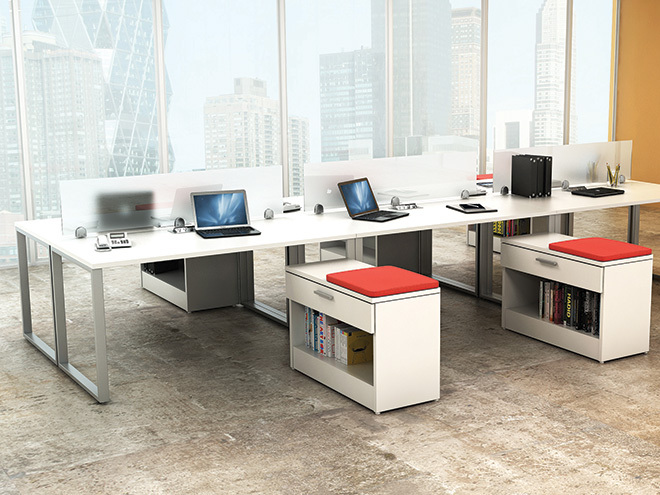 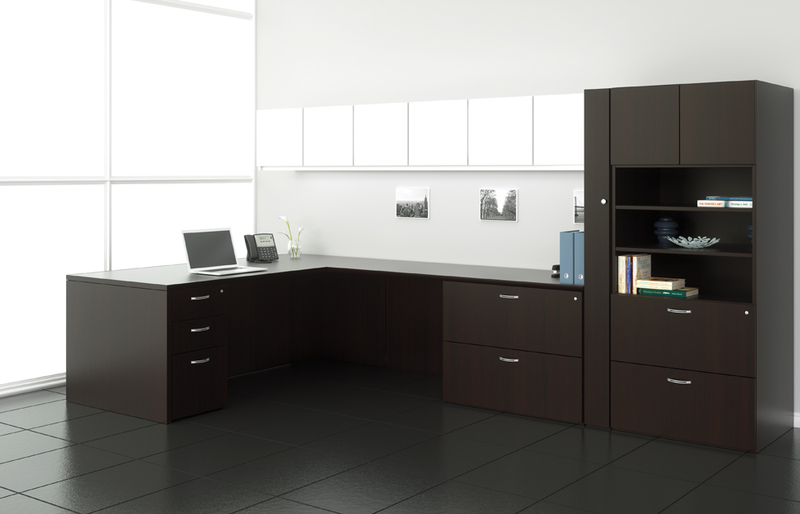 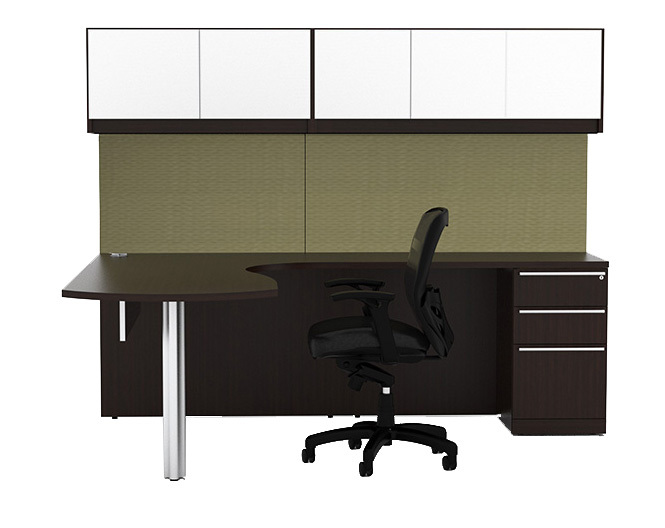 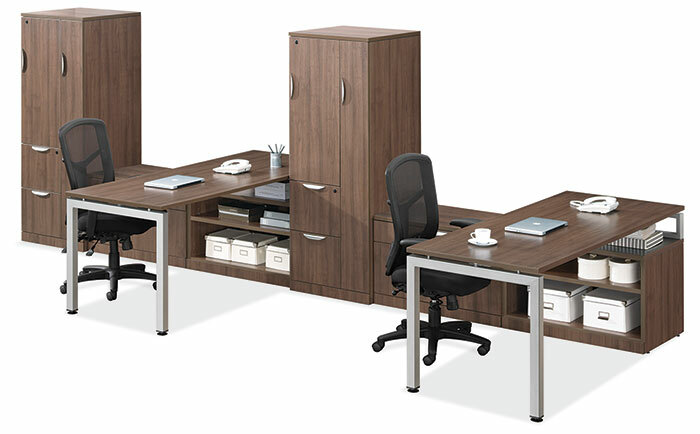 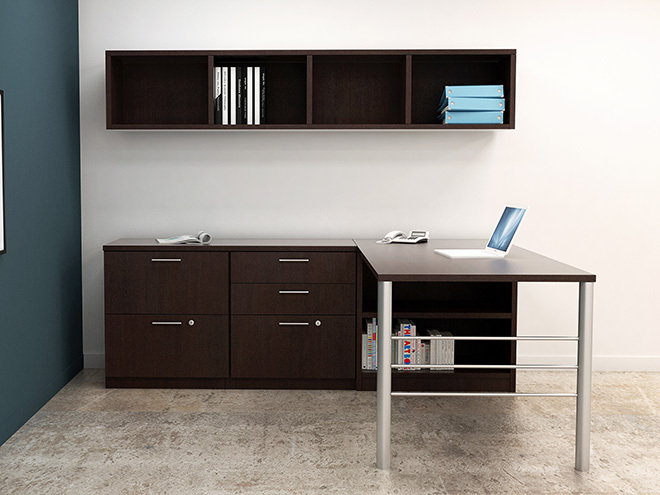 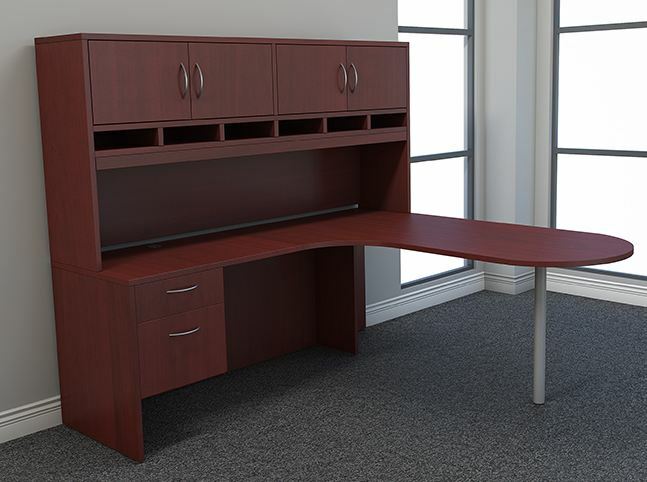 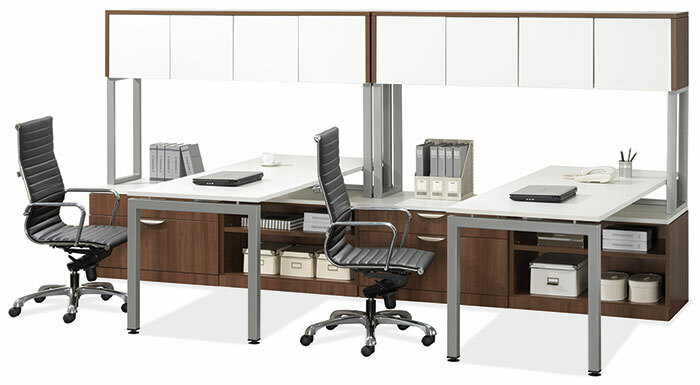 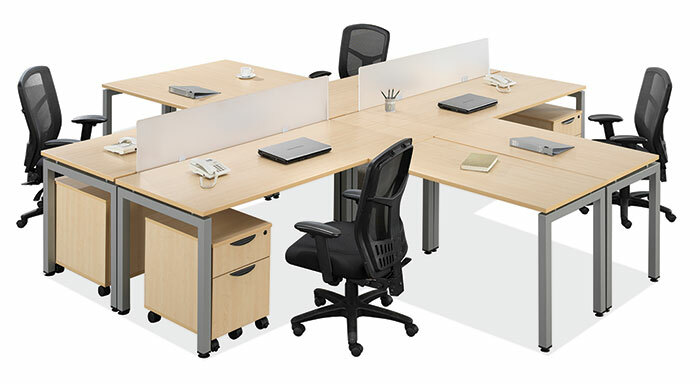 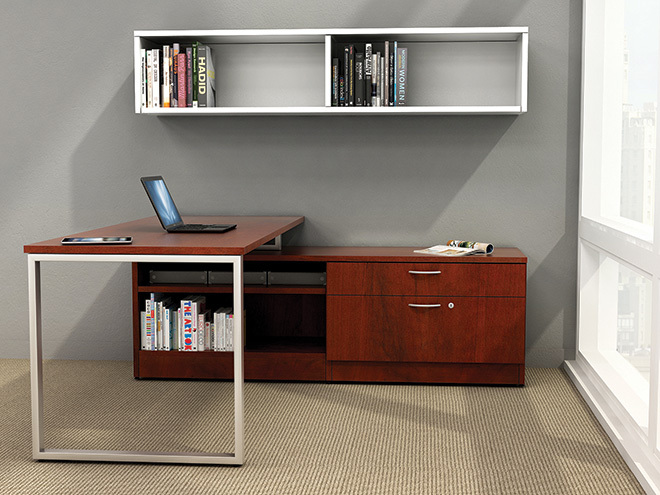 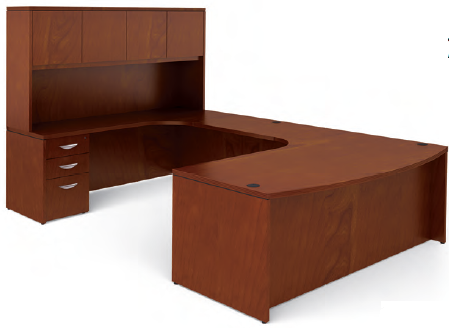 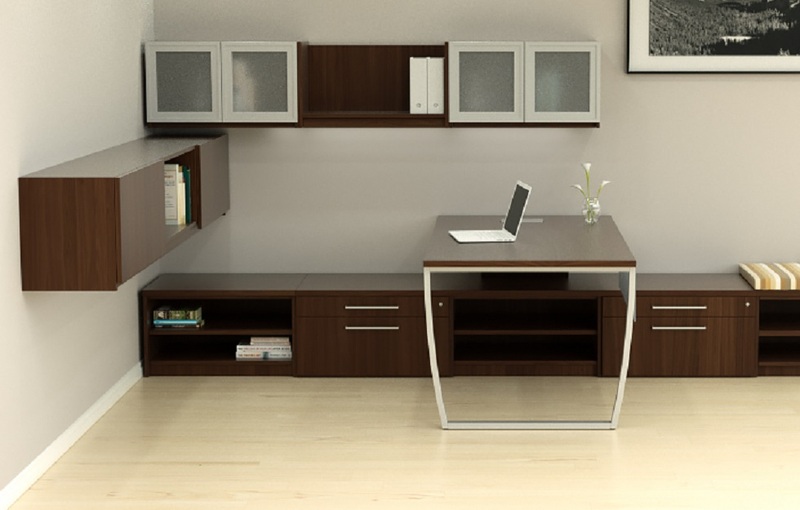 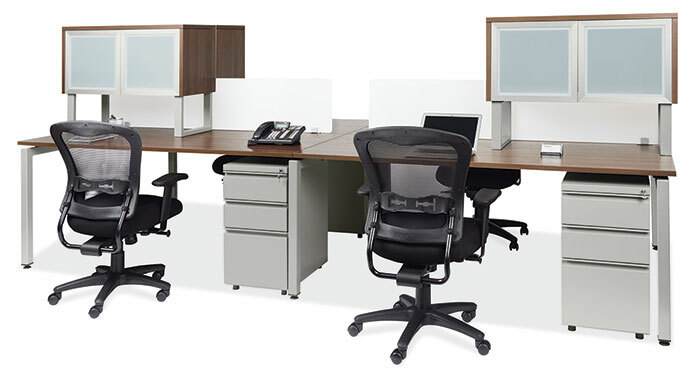 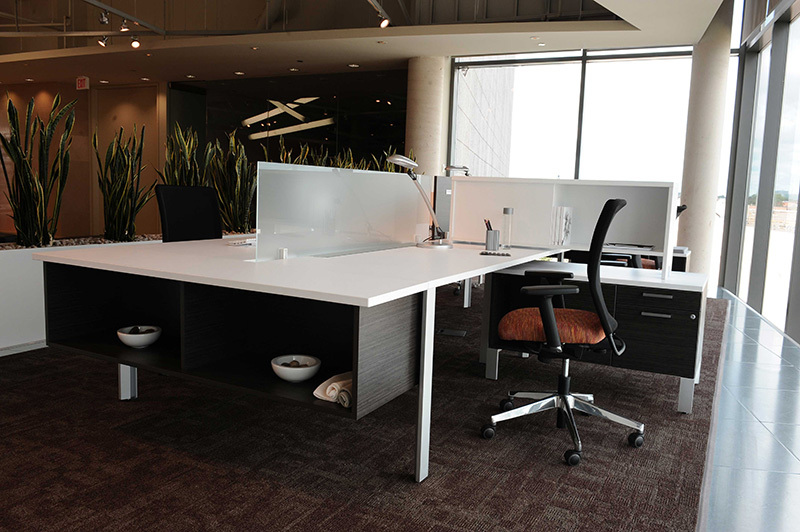 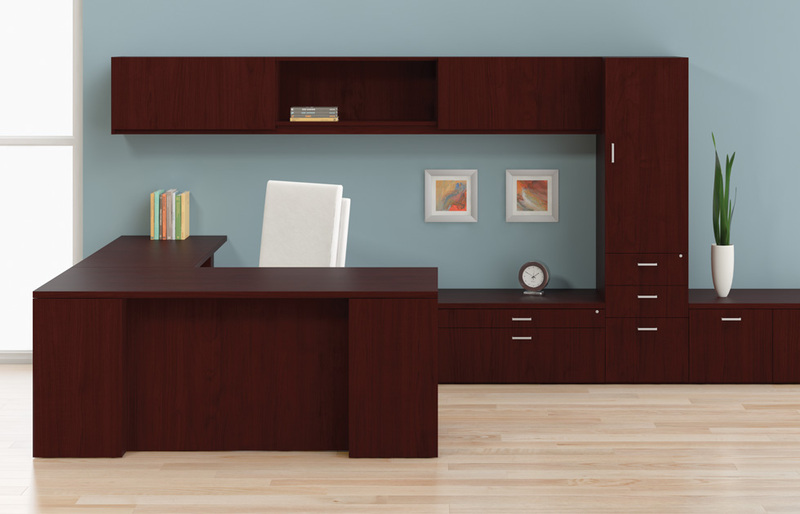 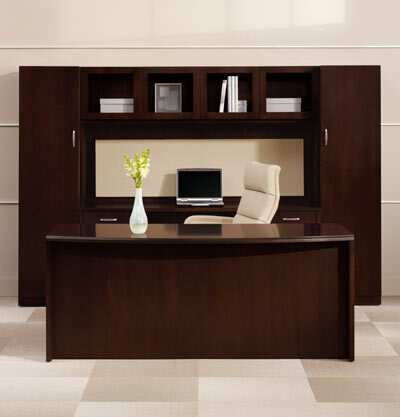 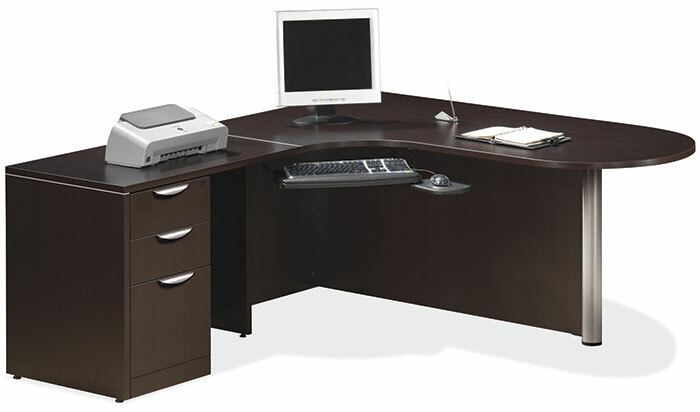 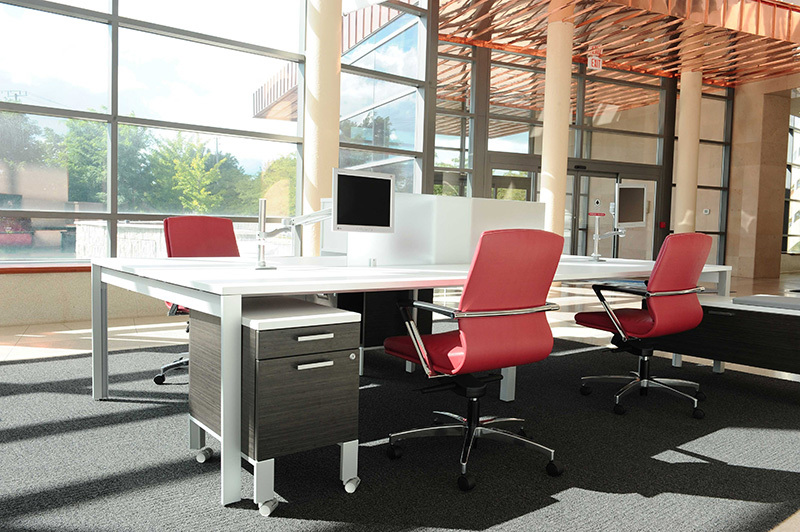 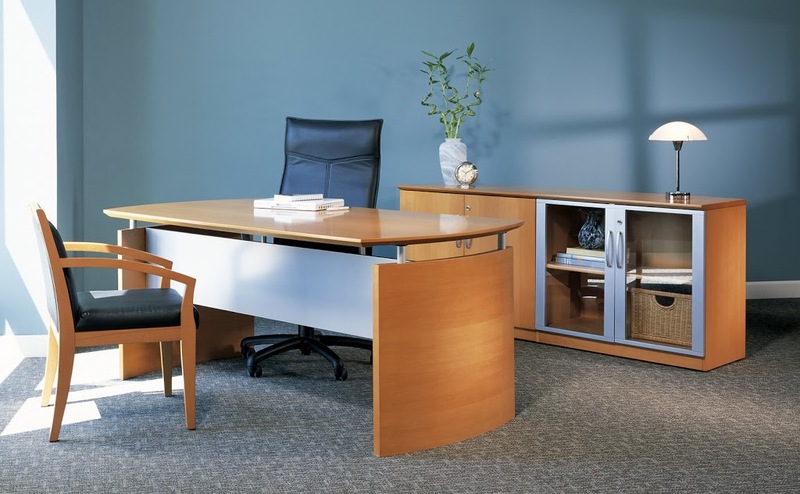 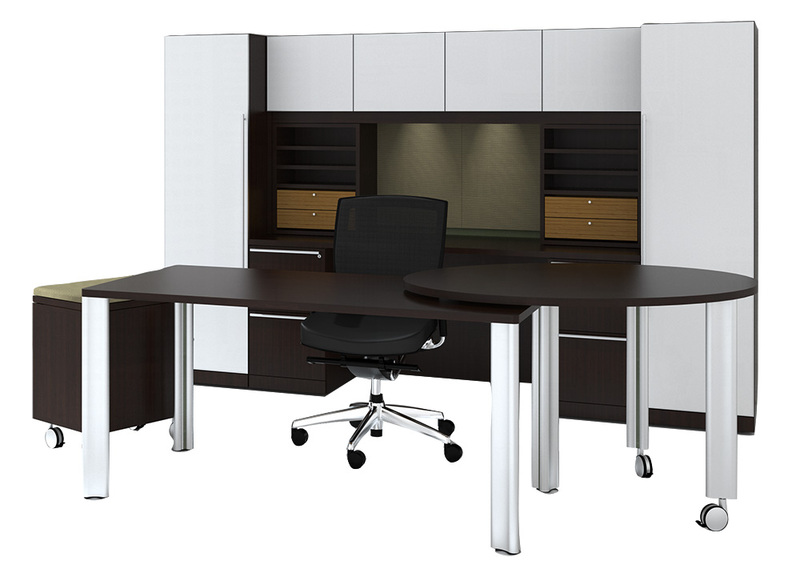 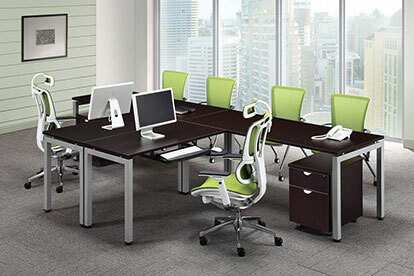 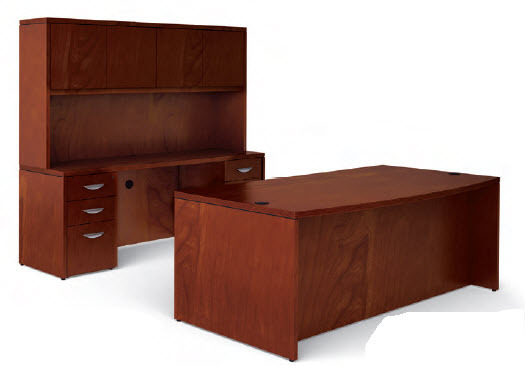 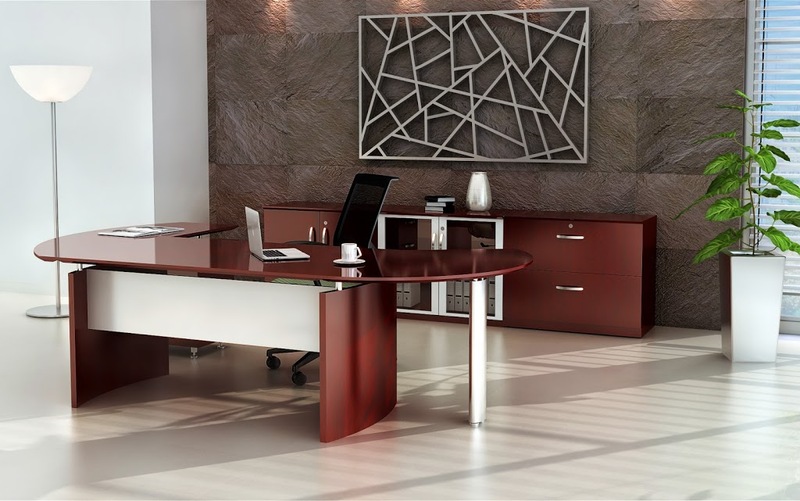 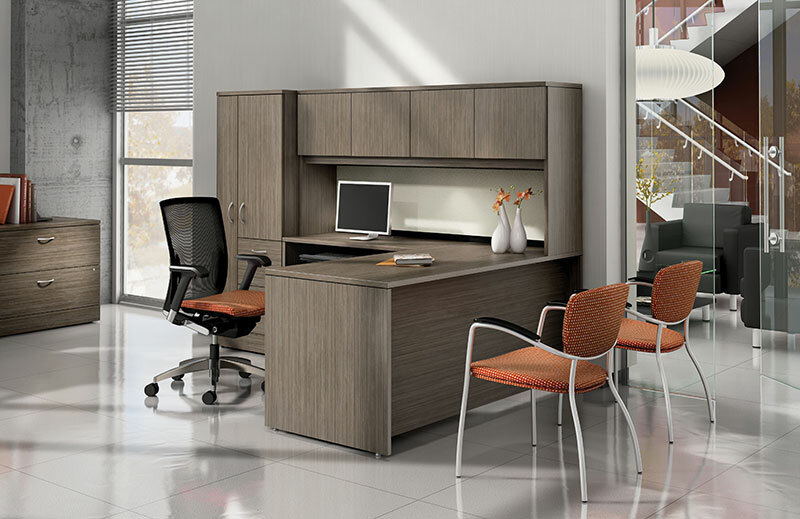 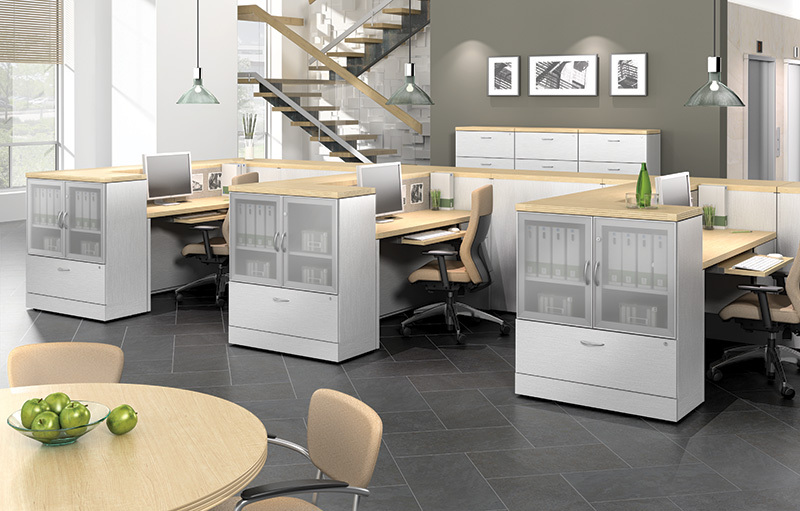 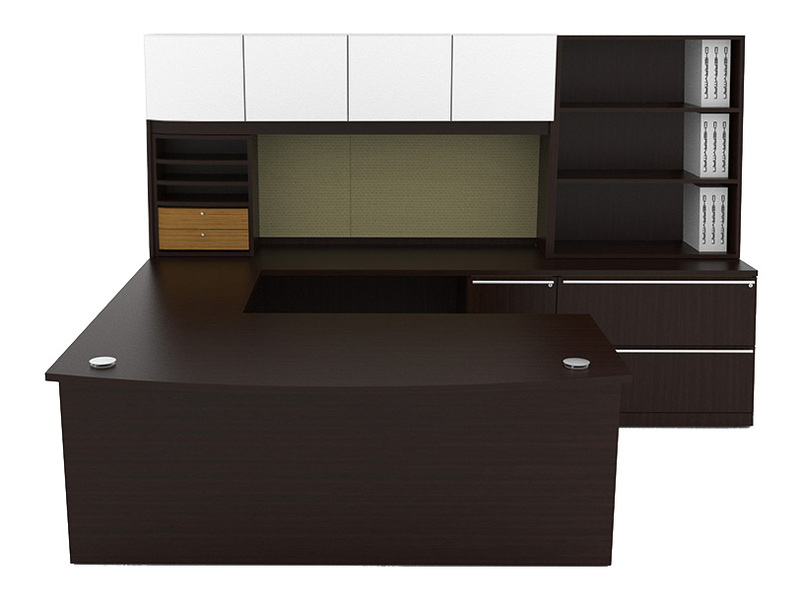 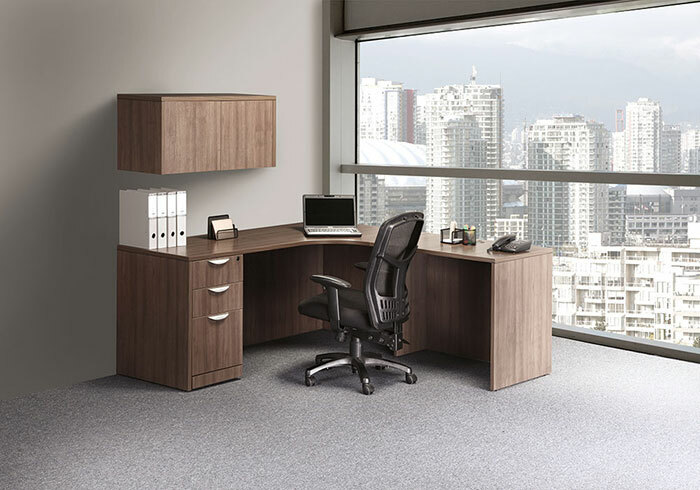 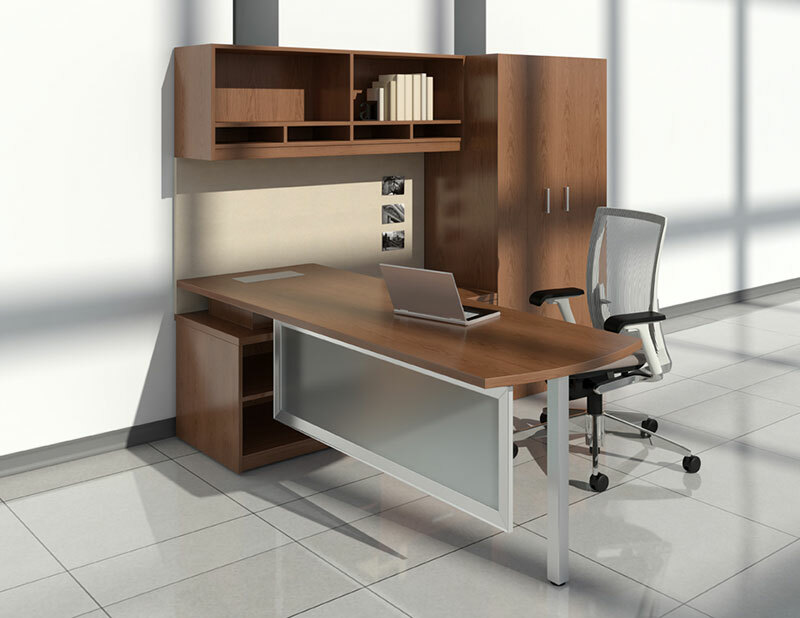 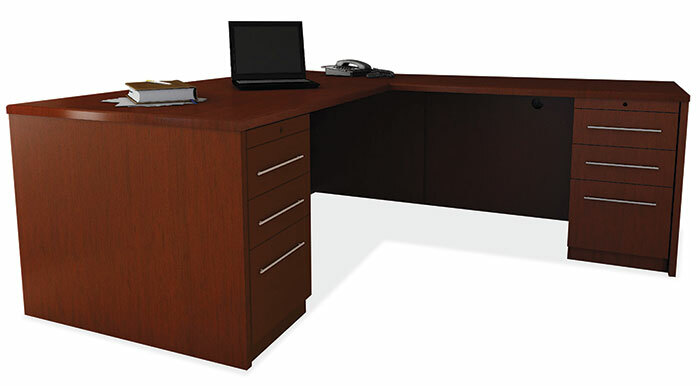 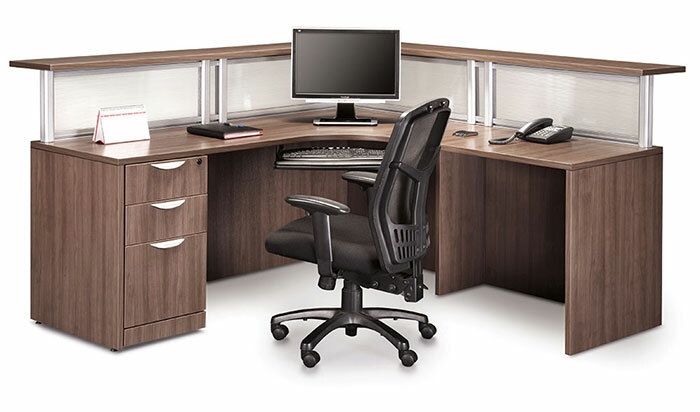 A contemporary desking solution with extensive options to personalize your workspace. 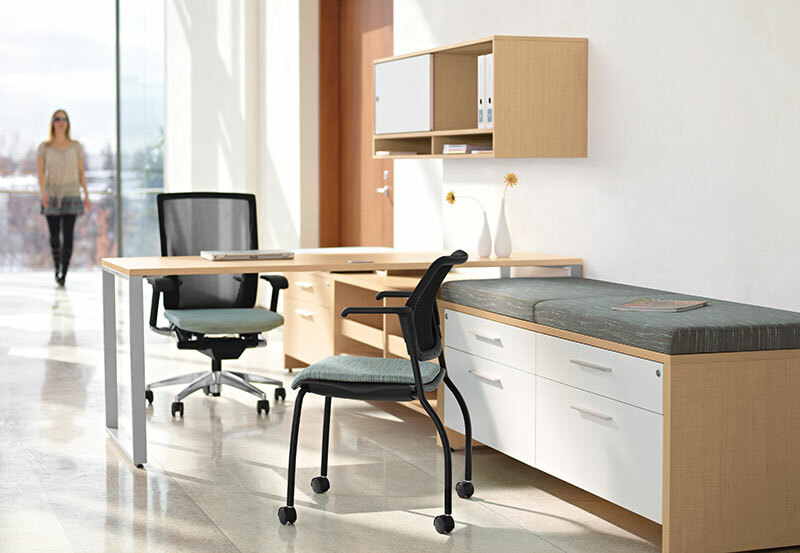 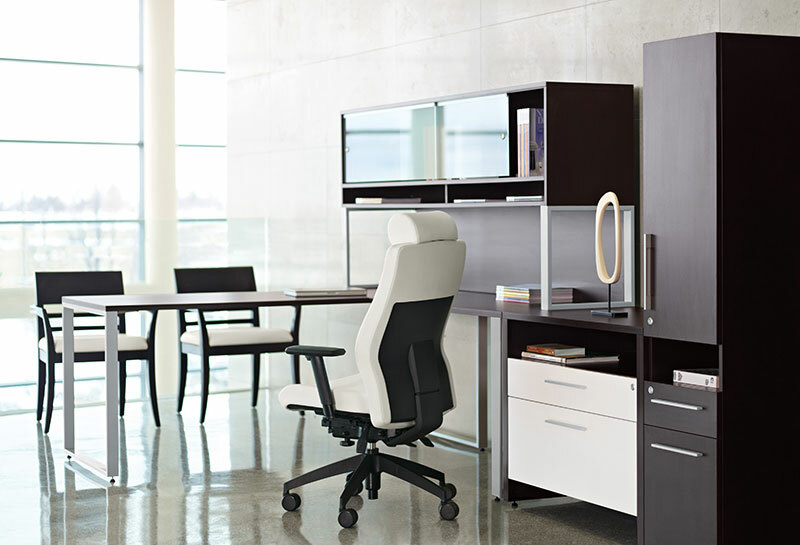 Endless work space components, hundreds of laminate finish combinations, and a host of contemporary options that allow Zira to fit the way you work.